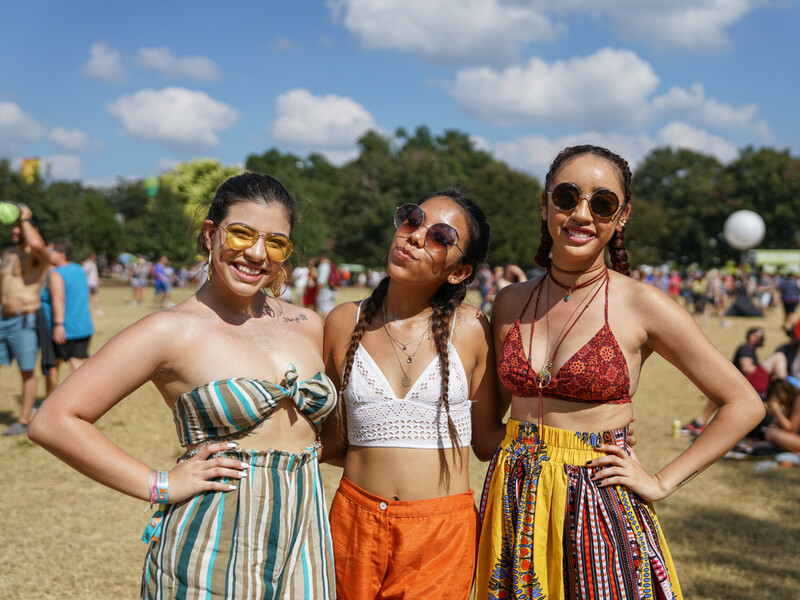 With the weather ranging from sweltering heat to fall-like temps, fashion at this year's Austin City Limits Festival ranged from barely-there looks to layered ensembles. 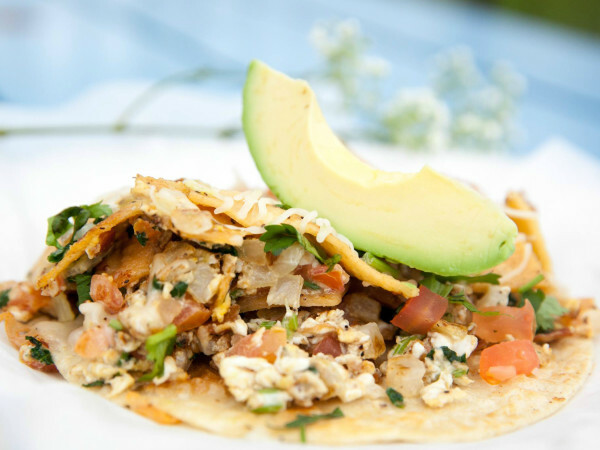 Hot trends included sheer dresses, big earrings, mirrored sunnies and denim-on-denim. 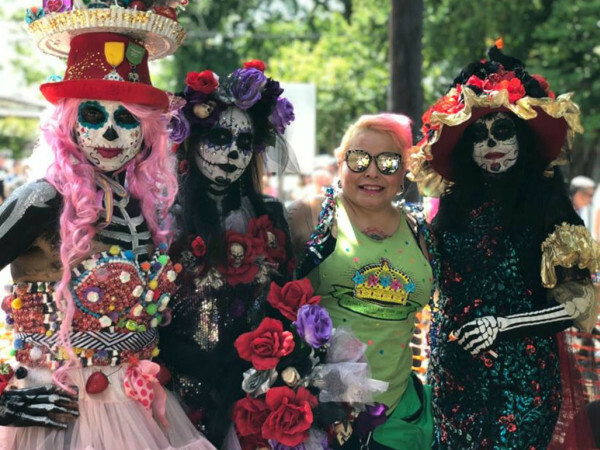 Despite the fickle weather, festivalgoers still showed up in style. 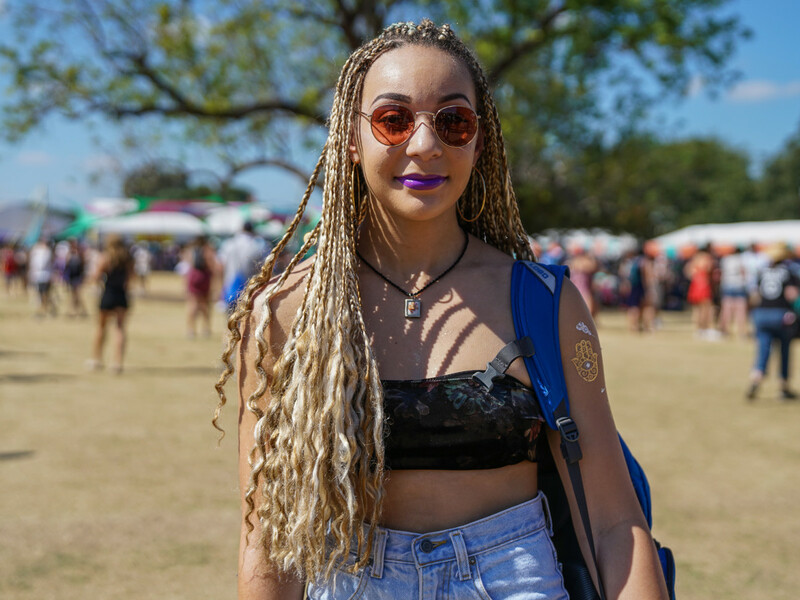 Read on to see some of our favorite looks from the fest. 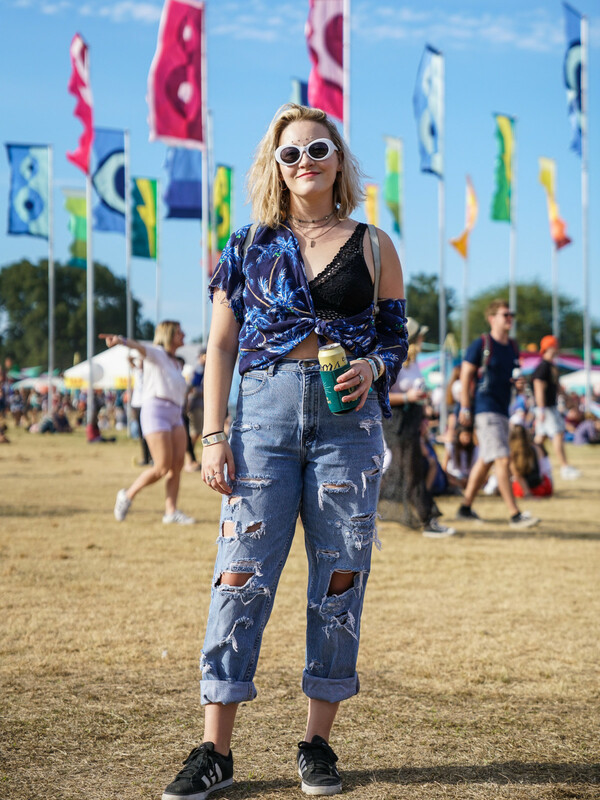 What was the biggest trend for ladies at this year's fest? Sheer pieces with embroidered flowers. We loved this maxi dress look on Virginia Vetter. Chelsey Lucio is looking to stand out from the crowd rather than blend in with these bright camo pants. Each piece in Akin Frances's stylish look had a story behind it. 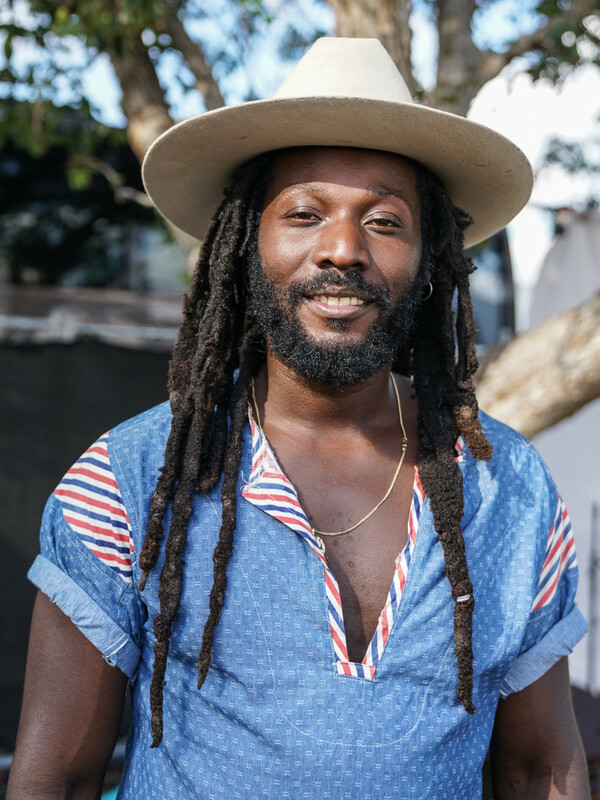 He scored his vintage Stetson hat at an estate sale, and his shirt was handmade by a friend. 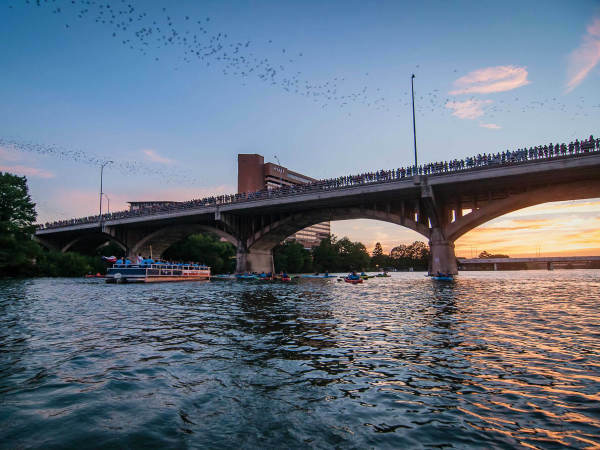 When it's 90 degrees in October, you've got to find unique ways to keep cool — and stylish. We loved this simple pinstripe romper Laura Adams was rocking. 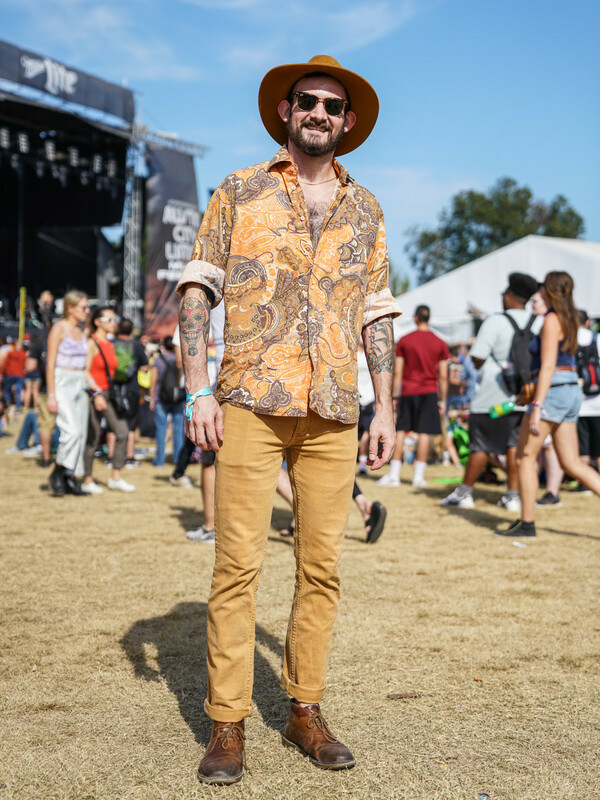 Colorful prints were big among music fans this weekend. Another big trend was big earrings, like these star-shaped ones worn by Kelsey Triesch. Standing out is simple when you've got a red hot Nasty Gal two-piece like Ellie Thompson. 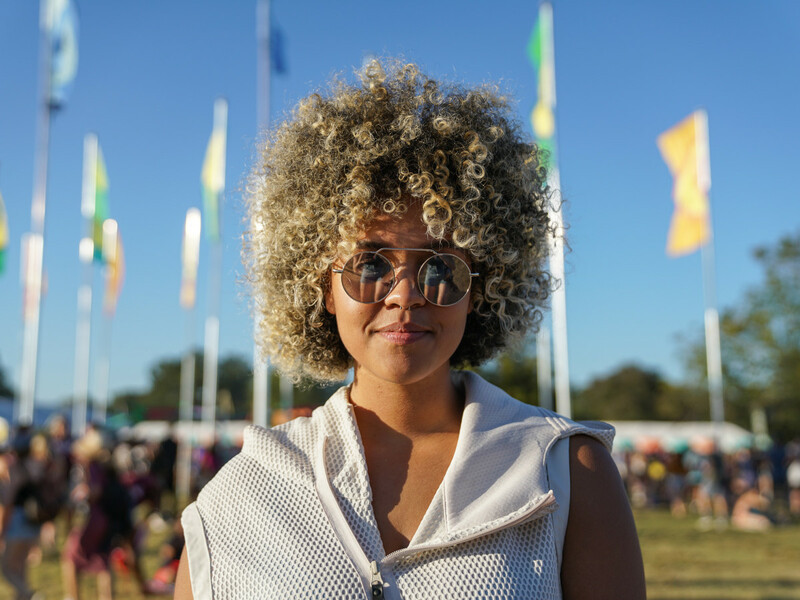 Mirrored sunnies were another huge hit among the crowds of music fans. Tiffany Hunter found a comfy-yet-stylish look in this James Harden for Adidas vest. 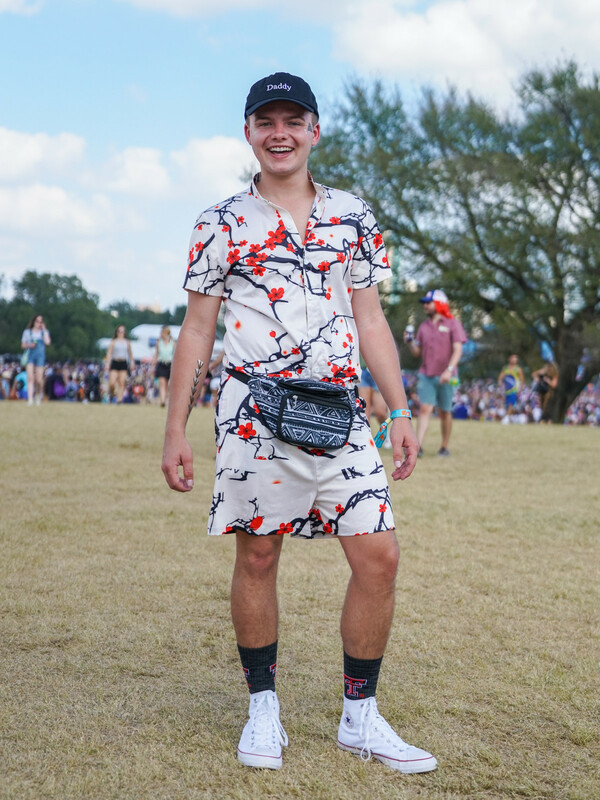 Newsflash: The RompHim is still alive and well in Austin, Texas. We loved Hayley Orlando's star freckles. Lauryn Atkins proves that sometimes your best accessory is lipstick. Terrell McCaleb looks comfy, cute, and chic in this white jumpsuit. 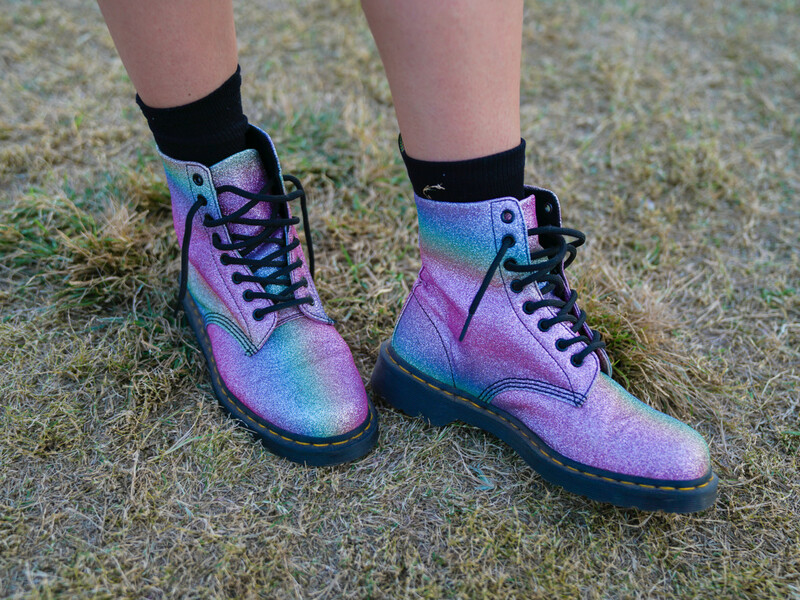 Doc Marten's are the must-have festival boot, but this shimmery rainbow metallic pair stood out from the crowd. We had to sift through a sea of T-shirts and backwards hats to find this stand-out stylish look on Ty McKaskle. 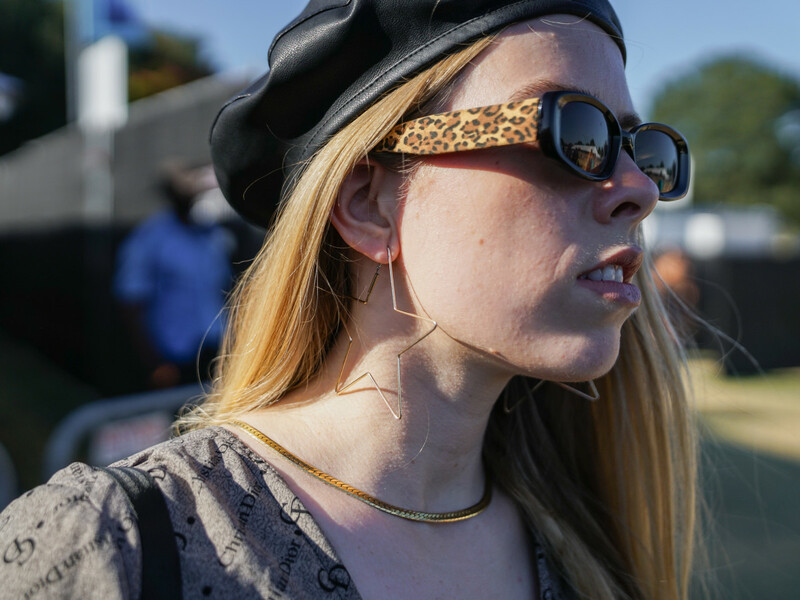 Stela De Almeida's cute crochet top and spiral earrings had us swooning. As Sunday's cool weather set in, we saw more hints of fall, like this fuzzy coat on Alva Sim. Slouchy, slashed, and super cool — we dug this look on Britten Rios. 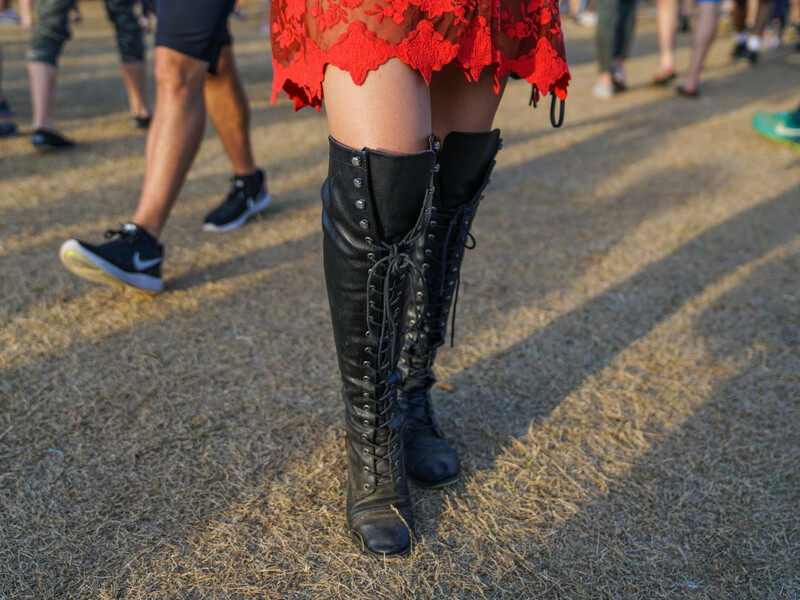 Katie Cotter's lace-up boots were definite show-stoppers. 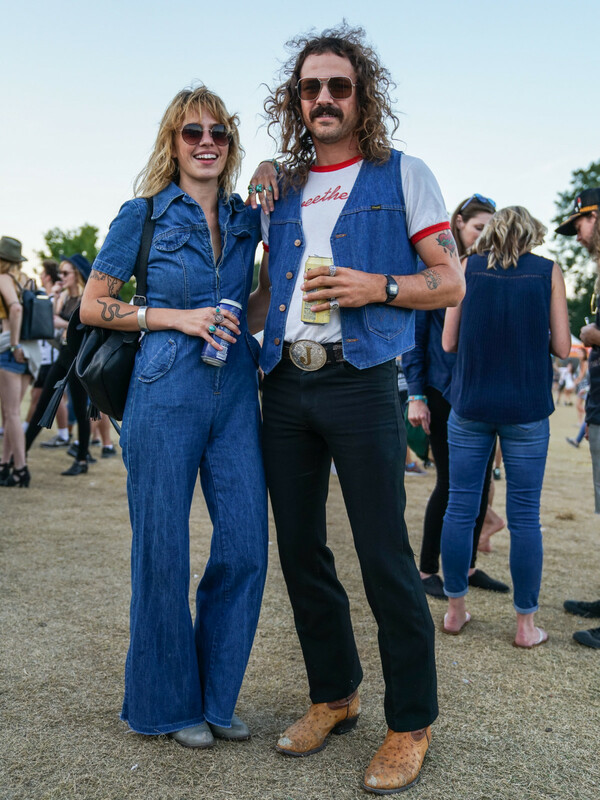 The couple who wears denim together, stays together. 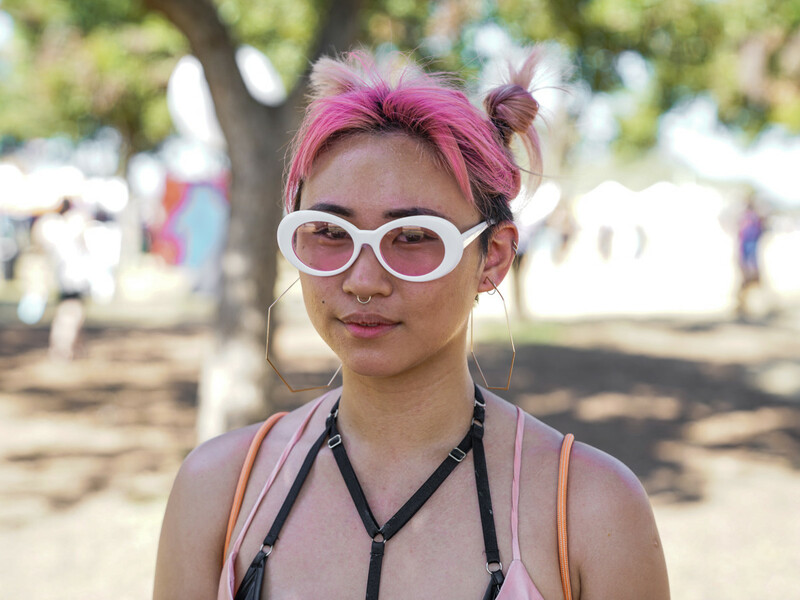 Sunglasses with bright and colorful lenses were a huge trend this year, and Bella Tambakau managed to match hers with her hair. Shannen Soffar is ready for Halloween in this horror movie inspired tee. 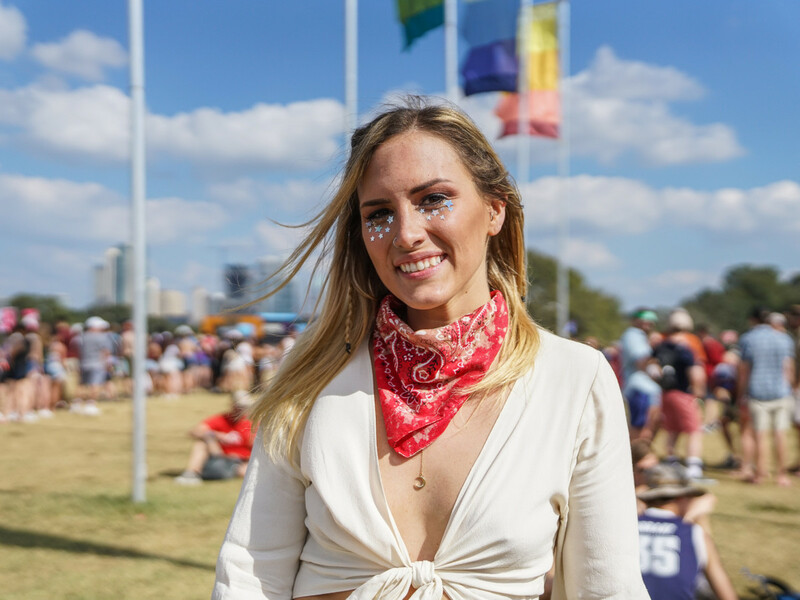 In typical ACL fashion, there were plenty of cut-offs and billowy robes at this year's fest, like these seen on Emily Bayard.